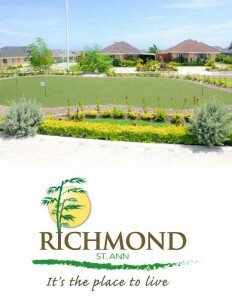 Richmond St. Ann provides first-world residential experience. 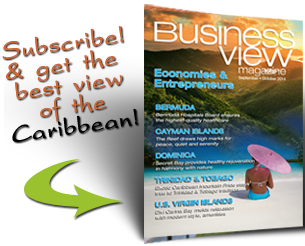 Upon coming across the same land encountered centuries earlier by famed New World pioneer Christopher Columbus, Elias Issa, a long-time fixture in the Jamaican tourism industry, had a plan. He’d take a sprawling tract that had fallen into disrepair through years of use as a sugar plantation, citrus farm and cattle ranch, and lift it back to the majesty that prompted Columbus to wax eloquent. But he knew it wasn’t going to get there without work. 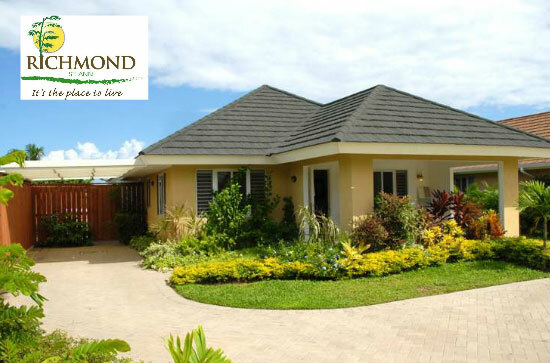 “(Issa) was doing a drive through one of the housing developments being done somewhere in Montego Bay,” said Steve Bennett, managing director of the Richmond Development Company, which is chaired by Issa and is overseeing the multi-phase project across the 530-acre spread. “He saw a lot of concrete and disorganization, and it just hit him that Jamaica needs something, development, at another level. He felt deep in his heart that our people were being short-changed by what was being presented. That’s when the idea was born. He decided that, if given the opportunity, he’d like to raise the bar on what a modern housing development should look and feel like. 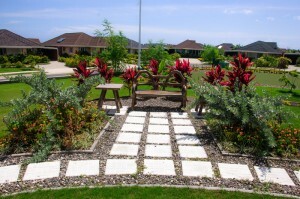 That concept was of a totally first-world green community that was in tune with nature, utilized renewable energy sources and included both an array of parks and amenities within its boundaries. The aim, Bennett said, was to provide “a home, with a theme,” not just a house. Bennett and Issa had worked together in another organization, and Issa went back to his former colleague with an encouragement to take a look at the land and let him know what he thought. From there, Bennett said, it was an easy decision to make. “I went, took a look and I loved it,” he said. The global recession that hit shortly after work began was enough to make an impact, but it didn’t stop the process. Bennett said a decision was made to continue with smaller steps rather than halting momentum, with the idea in mind that the economy would continue cycle itself back to health. The first phase of development – comprising 356 houses – is now complete, as is an initial phase of 123 apartments. A 373-unit phase of houses known as “Coolshade” is under construction, and Bennett said 180 of those planned homes have already been sold. 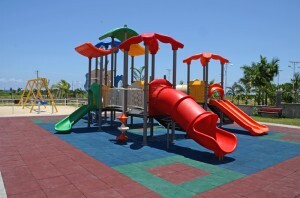 “If you come to the property now, what you would see is a completed, nice-looking Phase I – which we call ‘The Palms’ – with all the amenities in and beautifully capturing what our vision was,” he said. “We estimate, based on how our sales are now, that we’re likely to finish Phase II of the homes in another year and three-quarters. We’re also pushing the apartments, and we think we’ll finish the next phase of the apartments – which is another seven blocks – in another year. Also frequenting the development, he said, are Ocho Rios hoteliers who are stationed in Jamaica. Marketing-style referrals from the original set of people who arrived to the development have largely been responsible for subsequent growth, Bennett said. Multiple members of the same families have bought homes on some occasions, he said, and the overwhelmingly positive reviews have enticed coworkers and friends from overseas as well. As for the future, he said, it’s simply more of the same until the final home is built. The grand plan calls for 1,500 units – including patio homes, townhouses and apartments – of which about one-third are complete. Development of the shopping plaza has been slower than planned thus far, but both it and the bed/breakfast hotel are on the drawing board as the homes continue to sell. And within five years – assuming the economy stays afloat – it’ll be complete. “We’re charging forward with full commitment toward the original vision,” Bennett said. “I’m very committed to it, and it certainly changes the playing field and raises the bar. I sit in the primary seat as the driver to making this dream and vision happen, and I’m very, very committed to it.